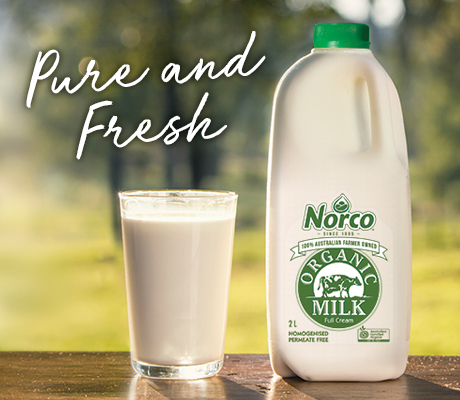 When it comes to pure, unadulterated, perfect milk, nothing goes past our Organic Full Cream Milk. Family friendly and environmentally friendly too. The lucky cows living on our lush certified organic farms spend their days grazing in rich green pastures, free from synthetic pesticides, fertilizers, and herbicides. Not only is this good news for you and your family, it's also good news for our delicate environment.